Take a Virtual Tour of the hotel.Holiday Inn Philadelphia Northeast Hotel in the foothills of Bucks County, PA just outside Historic Philadelphia. 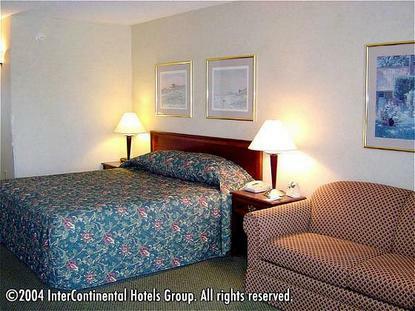 We are easily accessible from I-95, Route 1, and the Pennsylvania Turnpike. We are surrounded by shopping, restaurants, sightseeing, and entertainment, including the Sesame Place theme park, and Philadelphia Park Casino.Our full-service hotel offers 121 beautifully appointed rooms and suites as well as over 5,000 square feet of flexible meeting space. All rooms feature hairdryer, coffee maker, telephones with voicemail and data port, ironing board and iron, fridge & microwaves. Our well-appointed Jacuzzi Suites offer a separate living and bedroom area with private Jacuzzi, microwave, and refrigerator. In addition, our deluxe Executive Suite features an oversized king room with a fridge & microwave. Our hotel also features an Outdoor Pool (open from Memorial Day through Labor Day), Kiddie Pool, Fitness Center, Gameroom and Business Center..WE HAVE FREE HIGH SPEED WIRELESS INTERNETThere is ample FREE parking This hotel is committed to providing accessible facilities under the American Disabilities Act. If your accessibility needs are not met, please contact the Hotel Manager on Duty. Should you require additional information regarding accessible facilities for guests with disabilities, please call 1-800-Holiday (U.S. and Canada) or contact the hotel directly. For the hearing impaired, TDD service is available at 1-800-238-5544 within the U.S. and Canada.